September 20, 2012 / May K.
Ricin is a highly toxic protein from the castor oil plant. Few seeds of this plant are enough to kill an adult. 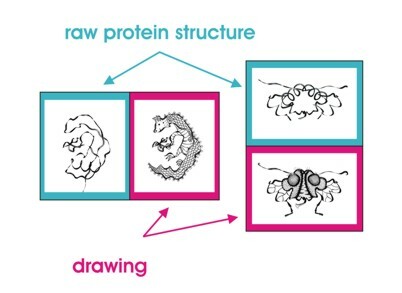 But how does this protein influence our body? 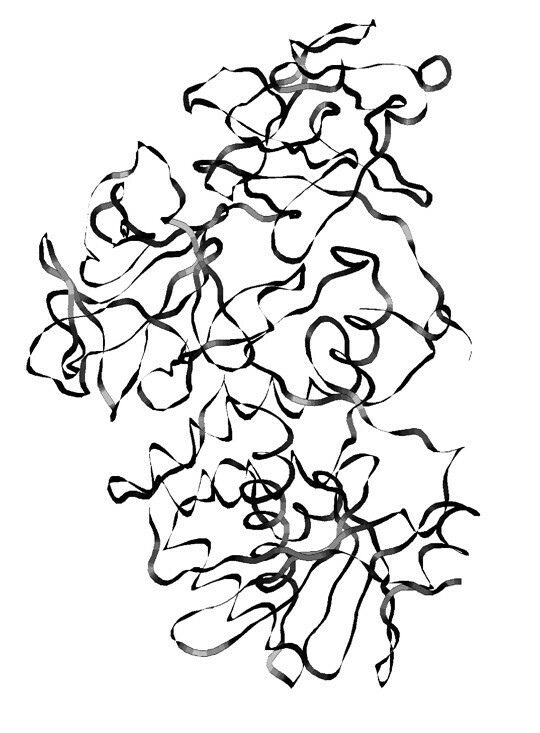 Ricin consists of two chains, A and B. 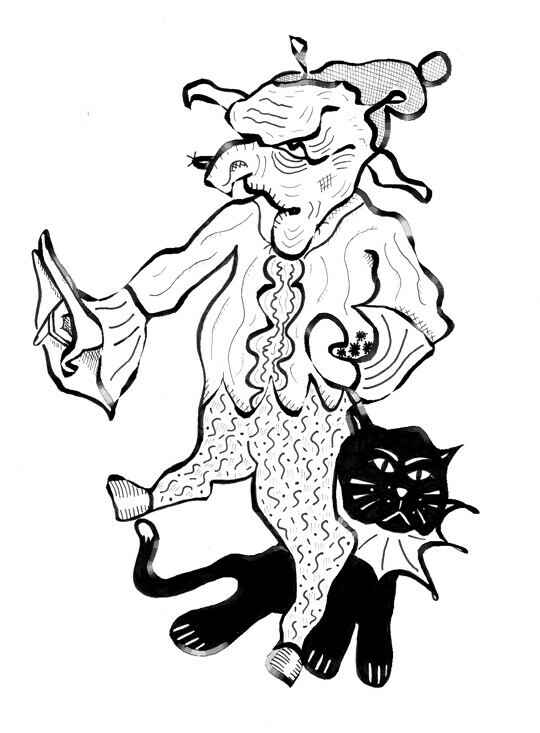 Chain B (shown in the lower part of the drawing covering the feet of the demon and the cat) can bind the surface of our cells and thereby facilitates the penetration of chain A. Chain A (represented as the upper part of the demon’s body) is the actual evildoer. 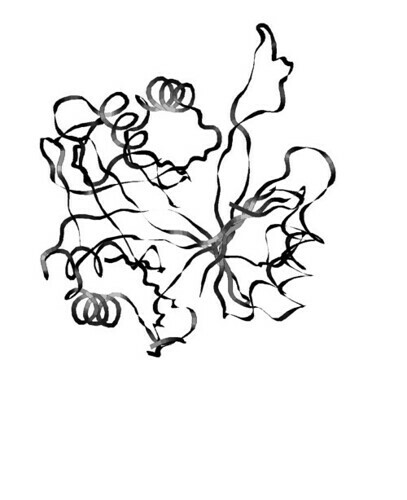 It is an enzyme which can inactivate ribosomes, the indispensable part of the machinery for protein generation. Thus, the organism dies due to lack of essential proteins. There were several attempts to use ricin as a warfare agent. However, Ricinus communis has also useful features. 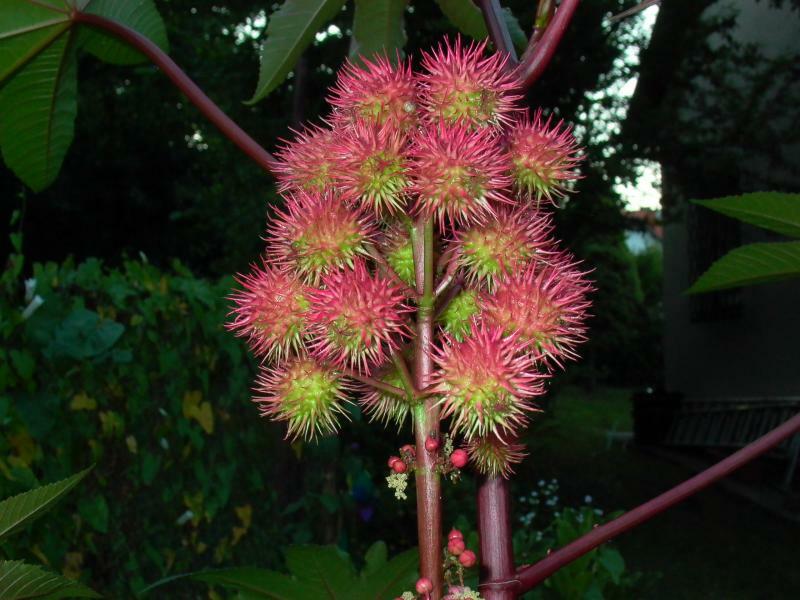 As it can be derived from the its name, the castor oil plant is the source of castor oil. Especially in former times this oil was commonly used as a laxative.